Snakes are commonly found throughout all parts of the United States. While most species of snakes are not a threat to humans, many are terrified at the idea of even being in the same vicinity as a snake. Since they are reptiles, they are cold-blooded and require the sun to heat them, which is why you can often find them stretched out in your backyard. Often, snakes will not bother you if you don’t bother them, but many people will end up trying to chase them away which results in the possibility of the snake feeling trapped and turning to attack. Snakes are known for eating rodents, but they will also go after eggs and insects. Since snakes don’t use their own energy to heat their bodies, they do not have to eat very often, and depending on what they eat they only need to eat a few times. Snakes try to avoid open spaces as much as possible to remain undetected by potential predators. 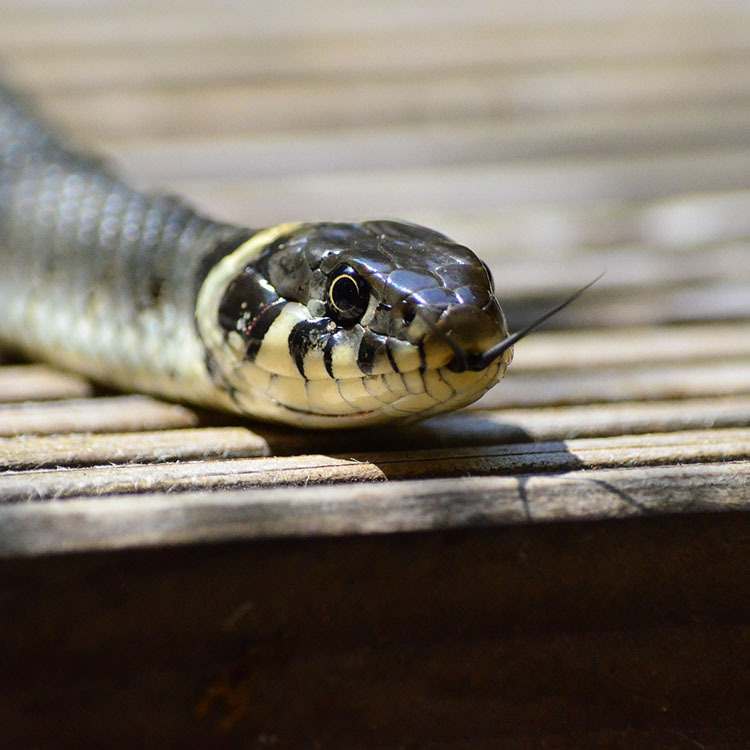 If you are concerned about snakes passing through your yard this summer, there are several things you can do to make your yard look less appealing for snakes. Keeping the lawn trimmed is very important, snakes will gravitate towards tall grass as protection from their natural enemies. Piles of wood or leaves will also attract snakes to the area, they use these as a shady resting spot to cool down if they get too hot in the sun. If you have small children you will also want to keep their toys out of the yard, as these can be tempting for snakes to hide in as well. Snakes are known for turning up in pools and pool pumps as well, so it is important to properly maintain any standing water you may have near your home, this can include pools and ponds. If you do notice a snake in your yard, it is important to ensure that there are no access points on your home, where the snake could potentially get curious and wander (slither) inside.